Get Your Bees | Welcome to Gel Bee. See what is buzzing! Get Your Bees before they are gone! 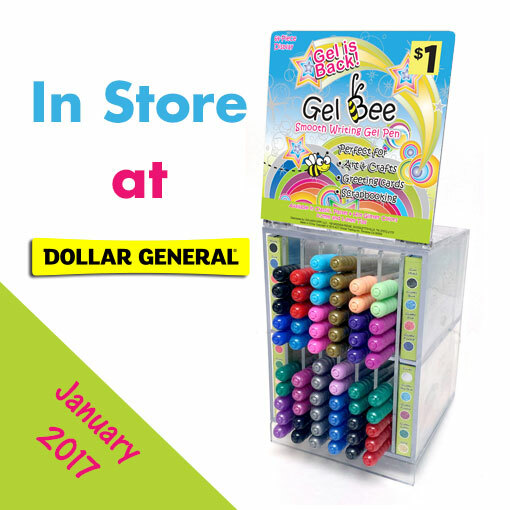 Gel Bee Pens are NOW available at selected Dollar General Stores nationwide. 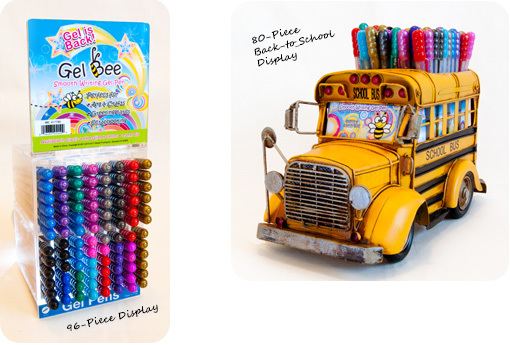 Including Gel Bee pastel colors! They are selling fast, get yours before they are gone! Looking for more fun colors? Watch out for special seasonal displays for more new colors. 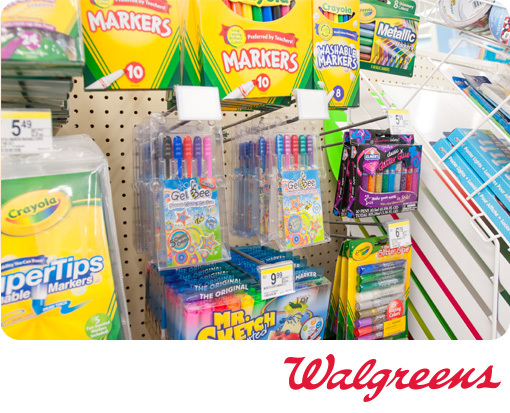 Classic and Glitter Gel Bee 5 count packs are back in the art supplies section at selected Walgreens nationwide. Gel Bees pens are the best and last a long time, which can’t be said for other gel pens. When I first bought them I thought they would be like other gel pens and I would need several of each color because they would stop working, skip or make messy blobs when writing…I was wrong! They don’t do all that like other gel pens and still write like new after having them for a few years. Now that is awesome! They are the best glitter gel pens I have ever used. I have asked the manager twice about the Gel Bee pens that they have sold out of at the Lackman and 87th store. They sell fast, and with Christmas coming up they would be great stocking stuffers. PLEASE BRING THEM BACK! Love these pens! I buy loads when they come out every season. [Stores] should carry them all year. They do not skip or leave blobs like other gel pens, and the sparkle is just such a pick-me-up. Cute! Cute!! Cute!! !